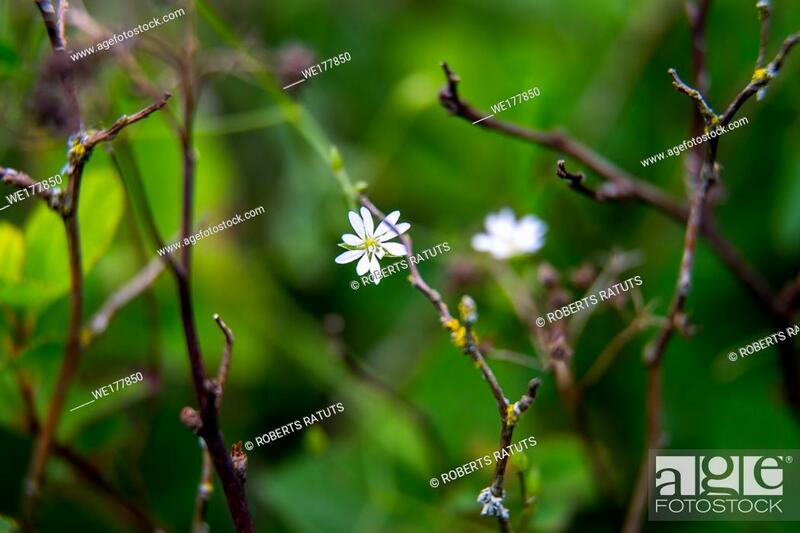 Stock Photo - White wild blooming flowers on a green grass background. Meadow with wild field flowers. Nature flower in spring and summer in meadow. . .